Having celebrated its own 15th birthday in October, the Borletti-Buitoni Trust starts the new year with January’s world première performances of Kalevi Aho’s Concerto for Two Bassoons, its 30th commission and second for 2011 BBT Award winner bassoonist Bram van Sambeek, as well as Heinz Holliger’s Reliquien for German soprano Anna-Lucia Richter (BBT Award 2016). 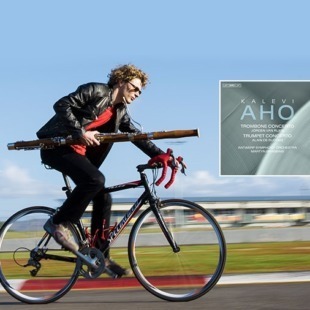 BBT’s relationship with Aho – 70 this year – goes back to the very beginning, having commissioned his Clarinet Concerto for one of the first winners, Martin Fröst (BBT Award 2003). That was recorded by BIS, which has just released BBT’s second Aho commission – his Trombone Concerto for 2006 BBT Award winner Jörgen van Rijen. If that was not enough, Kate Whitley (BBT Special Award 2014) is working on her piece for piano quintet with soprano for King’s Place in June which will be BBT’s 31st commission, with more in the pipeline.